Utah is famous for the beautiful and mysterious rock art found on its colorful canyon walls. There are two main types of rock art. A petroglyph is an image that is pecked, incised, or scratched into rock. Petroglyphs are often found on rock surfaces coated with desert varnish. The dark stained varnish provides high contrast as the image is carved into the lighter underlying stone. Pictographs, however, are painted onto rather than carved into a rock surface. Mineral pigments such as hematite, limonite, azurite, and gypsum were used to produce long lasting liquid and solid paints. Paint was applied with brushes, fingertips or hands, with fiber wads and even by spraying or blowing paint. It’s possible that vegetable dyes were also used by ancient artists but these would have been washed away without leaving a trace. Archaeologists classify ancient rock art into different styles according to image content, drawing techniques, location, and the relationships between various picture elements. 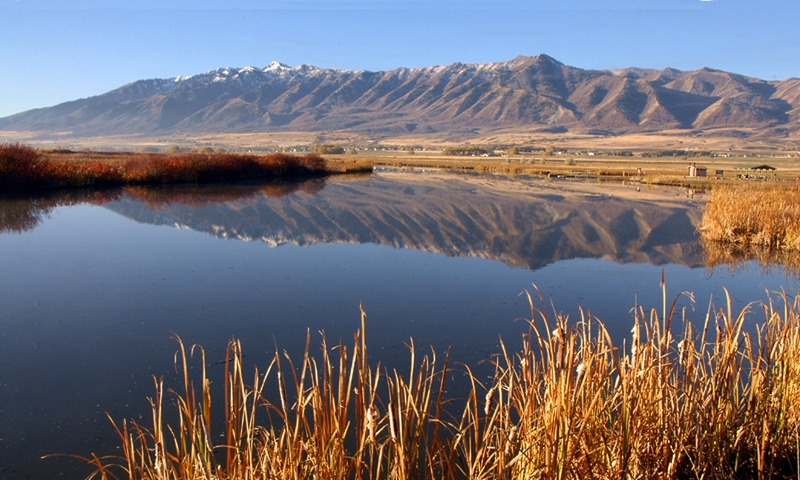 The so-called Barrier Canyon Style is well-known in eastern Utah where its greatest level of expression is found. 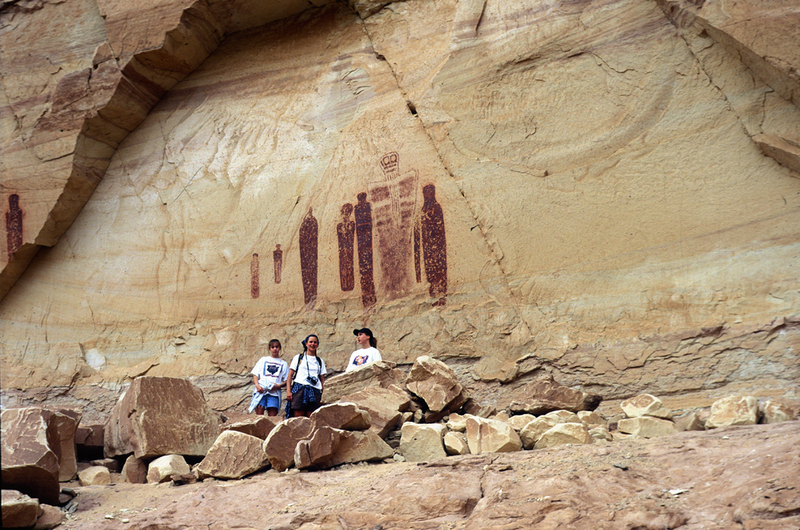 The Barrier Canyon Style features human-like figures with a supernatural appearance. Torso lengths are exaggerated and shaped like mummys or bottles. Heads may have horns, rabbitlike ears or antennalike projections. Eyes of the figures are often round and staring. Hands, if present, may be holding plant-like images or snakes. Aside from the human-like figures, birds, canines, bighorn sheep, and rabbits are also common in Barrier Canyon Style compositions. Cultural affiliations of the Barrier Canyon Style artists are still not fully understood. But most archeaologists agree that the artists were part of small bands of nomadic people who roamed the Colorado Plateau between 7500 BC and 300 AD. So far over 230 different sites featuring Barrier Canyon Style rock art have been discovered. In Utah, look for them in the Book Cliffs area, the San Rafael Swell, around Moab and in Canyonlands National Park. 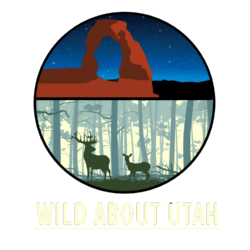 Thanks to the Red Cliffs Lodge in Moab, Utah for supporting research and development of this Wild About Utah topic. Schaafsma, Polly. The Rock Art of Utah. 1971, Third Printing 1987, Papers of the Peabody Museum of Archaeology and Ethnology Vol. 65, paper, 169 pp.